For all the great sport and amazing successes that happened over 2012, good cannot exist without the bad, so inevitably a number of sportsmen and women have had some absolute stinkers of a year. Having reviewed the winners of 2012, it’s now time to visit the losers of the calendar year, those that simply failed to impress anyone with their actions in the sporting world. Let’s get this clear first and foremost, because Olympic goggles distorted the image of football to a ridiculous level, with the sporting community so enamoured with the London Games that football took on a pariah-like status as the epitome of all that is wrong with sport. It was somewhat over-the-top that for every good example of sporting excellence that happened over that month over the summer, someone was looking to point out that the game of football often promoted the opposite. However, football really did have a rotten year, It was year defined by racism, diving, cheating and poor management of the game from the top level. The Premier League had two separate racism charges levied against star players in Luis Suarez and John Terry, while UEFA took the highroad of fining Denmark’s Nicklas Bendtner far more money for wearing sponsored pants than they dished out to entire nations for racist chanting. Time to up the levels of sportsmanship for 2013 and try at least to preserve some form of positive image. Possibly the biggest loser of 2012, as his battle to clear his name against doping allegations came to a very unsuccessful end, as he decided to give it up under overwhelming evidence. 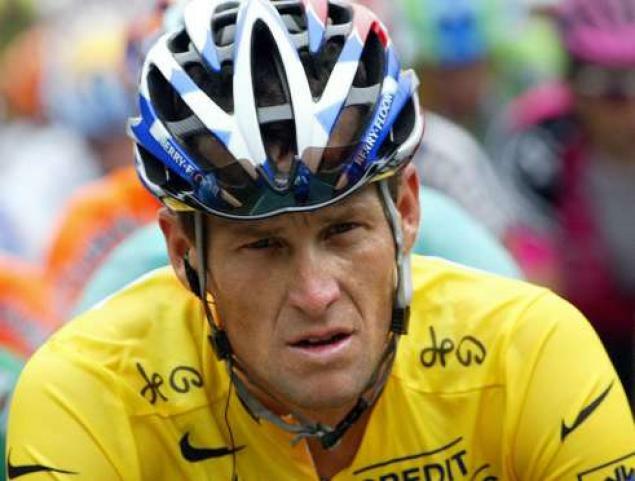 The US Anti-Doping Agency (USADA) had built up such a compelling argument to show that Armstrong had ‘enforced the most sophisticated, professionalised and successful doping program that sport has ever seen’, with former team-mates on the US Postal tournament coming forward to give damning evidence against their former leader. WADA (World Anti-Doping Agency) and UCI (Union Cycliste Internationale) relented to the demands of the USADA and stripped Armstrong of all of his historic seven Tour De France titles, amongst every other title won in his now less-glittering career. Having been regarded as the best cyclist to have ever competed at the start of the year, the words from Pat McQuaid, President of the UCI, of;”Armstrong has no place in cycling, he deserves to be forgotten,” remark an incredible descent in fortunes and public opinion. For shame Lance, for shame. Pacquiao started the year being given an award for being the WBO’s best pound-for-pound boxer of the past decade and ended it unconscious on the canvas having dodged the fight everyone wanted to see. His award came prior to his bout with Timothy Bradley, who then beat him on points, although this came tempered with controversy as most people keeping their personal scores had Pacquiao comfortably winning, contrary to the views of the judges. He then continued his blanket refusal to take a simple drugs test in order to set up the ultimate showdown with Floyd Mayweather Jr, raising further suspicion on whether he was indeed as clean as he claims, instead choosing to set up a bout with Juan Manuel Marquez for the fourth time in his career. This saw him knocked out for the first time since participating in fights outside of Asia, with Marquez’ right hook in the sixth round leaving him motionless on the canvas. Quite the climb-down for Pac-Man. With all the expectation and hype going on around the Olympics, there was always likely to be one disappointment for Britain, but it was just the manner that Idowu went about being that disappointment that lands him on this list. His relationship with Charles Van Commenee had always been a strained one, but Idowu’s decision to warm up for his home Games away from the rest of the Great Britain squad was perplexing, alongside his mysterious injury concerns that nobody was given any indication as how much of an issue they were. That includes his coach, who was cut off from any communication with his star man. 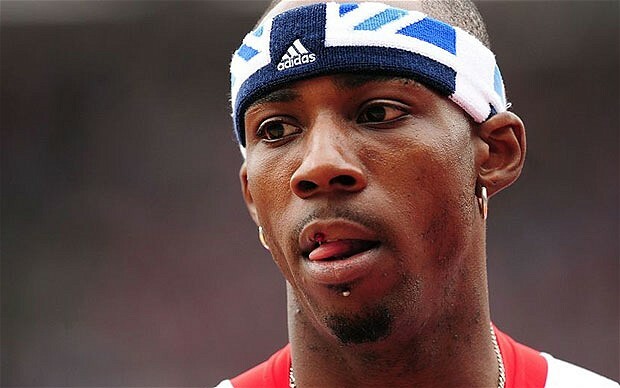 Still he talked himself up so highly as the man to land the gold in the sandpit, but consequently failed to so much as make the final of Triple Jump, ending his summer early. Greg Rutherford’s success in the long jump meant he was practically a forgotten man by the time the closing ceremony came upon us. It’s almost strange for a sport that has so little stock outside of the Asian continent to lose so much face, but badminton provided the biggest sporting disappointment of the Olympic Games. With one Chinese pairing the overwhelming favourites, another two Chinese teams, one South Korean and an Indonesian team tried to manufacture their positions in the league table, which had come in to replace the round robin format in order to build more interest in the sport. Instead fans began to boo when these teams tried to lose matches in order to avoid harder opponents in the next round, with such obviously deliberate attempts to fire the shuttlecock into the net or miss the court entirely. It was scandalous stuff, saw the teams eliminated from the competition and has potentially irreparably damaged the sport in the eyes of the world. Kevin Pietersen has always been a controversial character in the oft prim and proper world of cricket, but 2012 has been more than anyone could have expected from the most divisive superstar in English cricket. It all started with his retirement from One-Day Internationals due to the punishing and overloaded schedule being placed upon him and his team-mates, with his relationship with the ECB (English Cricket Board) becoming even more strained that it had been. This came further to a head when defamatory text messages were found sent by him to South Africa’s players during the test series, with derogatory remarks made about then-captain Andrew Strauss and coach Andy Flower, with Pietersen having already hinted at retirement from international cricket. He was subsequently dropped from the team and forced into a grovelling public apology, which the ECB finally accepted to allow him to be part of the ultimately-successful tour of India. 2013 is a year in which Pietersen needs to reintroduce himself as one of the finest batsmen in the game, if he is to win back the trust of the selectors, coaches and fans in English cricket.